Hi all! It’s Friday and what better night of the week to chill out and have a little ‘me time’ . Being in a relationship, working full time or studying full time, whatever takes up your week, it’s time to let it go for a night. 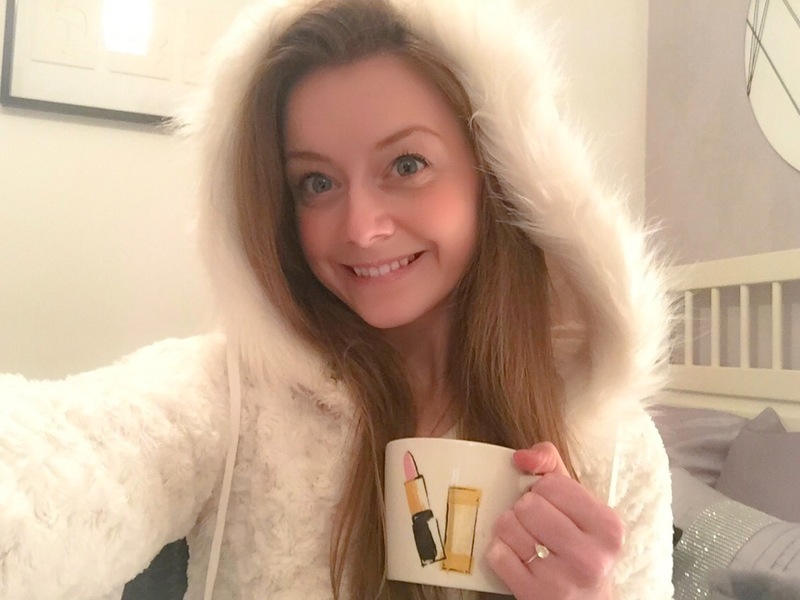 So, to kirk start the weekend I’ve decided to share my top tips to the ultimate pamper night! Every night should start with a bubble bath! If your thinking “baths are so boring” well, I can’t exactly blame you! I’ve had many occasions where the idea of a big bubble bath is better than the reality. But, I have some tips to help! Try taking a book or listening to your headphones ( just don’t drop anything in the water!!! ). It’s amazing how time passes when you have something to preoccupy your mind. Next, you have to have the right bubble bath cream. If like me, you have a box full of bath accessories that you get for birthdays and Christmas then this is the time to use them! Sometimes I like some Soap & Glory or Radox & if I really want to treat myself I use my very precious Burberry Bath Cream! After a long relaxing soak in the bath it’s time to take care of your skin! My favourite body butter at the minute is Soap & Glory. The smell is unbelievably good I can’t even describe it! I have a bad habit of often changing body butters but I don’t see that as a bad thing. It’s good to give your skin a bit change from time to time. Once my skins smelling & looking good, it’s time to move onto my face. 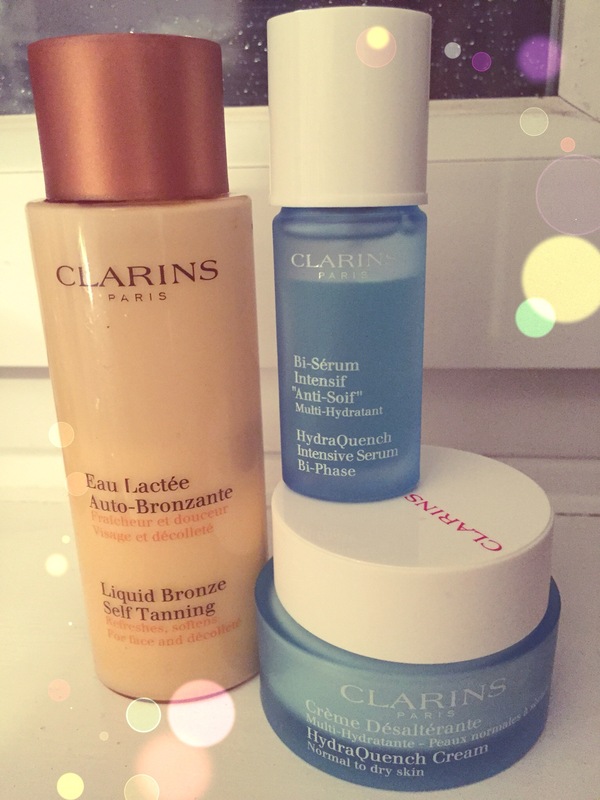 I’ve used Clarins for years and I swear by it. I’ve never had any bad reactions or breakouts while using it. Which, is a bit of a miracle considering my skin is overly sensitive. My main products are Clairns Hydro Quench Intense Serum, Hydro Quench Cream & Occasionaly some Tinted Mosituriser. I always feel so fresh after taking care of my face. Everytime I use these products I can see a difference straight away with the brightness and tone of my skin! Now, don’t fee you have to use these products. Any products similar will leave you feeling just as good! Get those comfy pjs out because now it’s time to de-stress and get rid of all those worries built up over the last week! First of all light your favourite candle. I go through so many candles because I feel they are one of the best calming methods. 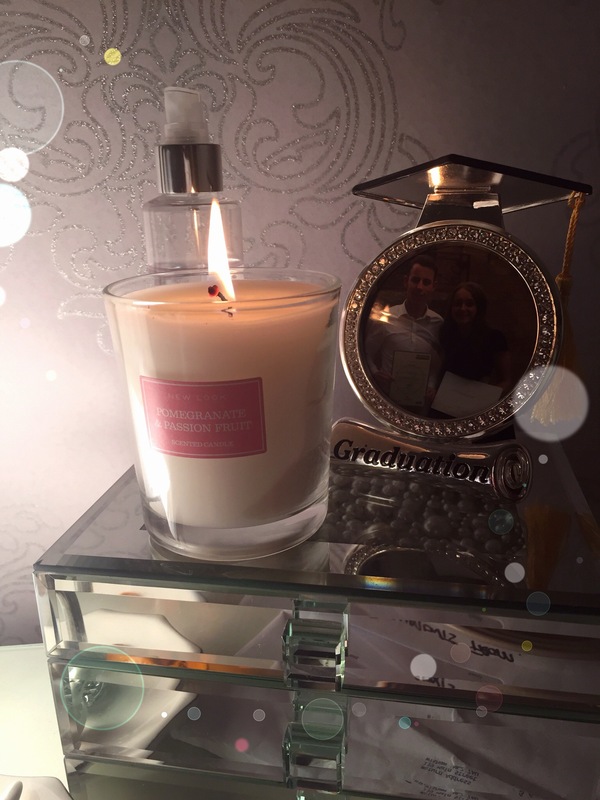 At the moment I am using New Looks Pomegrante Candle. It’s not over powering but it’s just enough for you to catch a scent every so often. Once your atmosphere is set, pick a book / movie / CD or any other activity that you find mind chill you out. I’ve recently been using Adult Colouring books. I’ve always loved art and anything creative so this is a perfect method for me. But, sometimes I can’t really be bothered and spend the night painting my nails or watching a funny film! Whatever takes your fancy, make sure you shut off your phone and give yourself a break! I hope you’ve enjoyed my top tips to a good old fashioned pamper night. Now go and try it for yourself! How do you like to relax at the weekends? Remember you can find me on Instagram & Twitter too! I tend to have this night on a Sunday and I’m really looking forward to it this week! For me, tonight is food night and I cannot wait!